This is another one of those tricks that I forget how to do unless I write it down. When I move Powerpoint (2010) presentations from my Windows machine to my Mac (Powerpoint 2011), the equations usually get destroyed along the way. The workaround is to turn the equations into images that can’t be altered by the Mac. 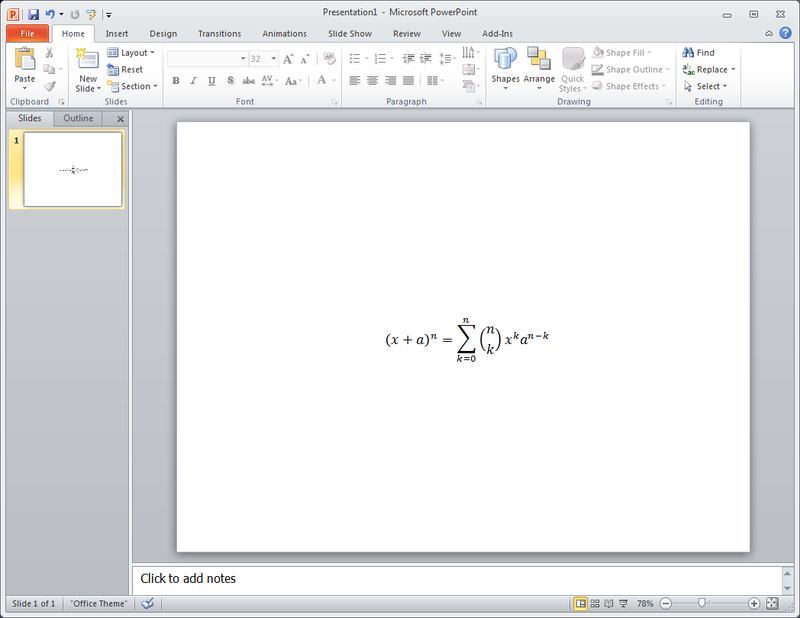 For example, here I’ve got an equation plopped into a blank presentation, with the equation editor toolbar.